Karen Gibson and The Kingdom Choir sang "Stand by Me." 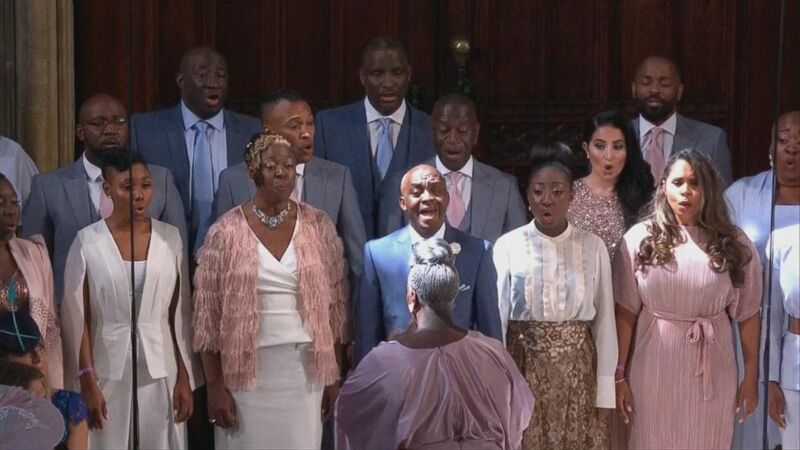 camera (ABC News) Karen Gibson and The Kingdom Choir sang during the royal wedding on May 19, 2018. A gospel choir, singing the classic R&B song "Stand by Me," created a moving moment during the royal wedding of Prince Harry and Meghan Markle. Performed by Karen Gibson and The Kingdom Choir, 20 singers stood Saturday at the west end of Windsor Castle, wearing different shades of pale pink. The couple, now known as the Duke and Duchess of Sussex, chose Ben E. King's 1962 hit song for their ceremony, which was attended by more than 600 guests. 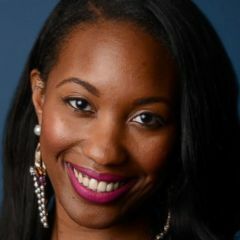 (ABC News) Karen Gibson and The Kingdom Choir sang during the royal wedding on May 19, 2018. "When the night has come/And the land is dark/And the moon is the only light we see/No, I won’t be afraid," the song begins. "Oh, I won’t be afraid/Just as long as you stand, stand by me/So darling, darling, stand by me/Oh, stand by me/Oh stand, stand by me. Stand by me." It's not the first time The Kingdom Choir has performed for British royalty. In fact, they were tapped to perform at the Golden Jubilee of Queen Elizabeth II, celebrating her 50 years on the throne, in 2002. The multi-denominational choir originates from the South East area of England, according to the group's Facebook page. Previously, they've performed for other notables, including former President Bill Clinton, Bishop Desmond Tutu and the late Nelson Mandela. They've also performed alongside American Gospel artists such as Fred Hammond and Donnie McClurkin along with British acts, including Elton John and The Spice Girls. "This unique group of seasoned and dedicated men and women deliver high quality performances time after time with their strong blend of choral discipline with the raw Gospel spiritual sound," the page reads. Music for the royal wedding was led by St. George's Chapel's director of music, James Vivian, according to Kensington Palace. Along with The Kingdom Choir, other performers included 19-year-old cellist Sheku Kanneh-Mason. The ceremony was recorded live by U.K.-based record label, Decca Records. It will eventually go on sale May 25.